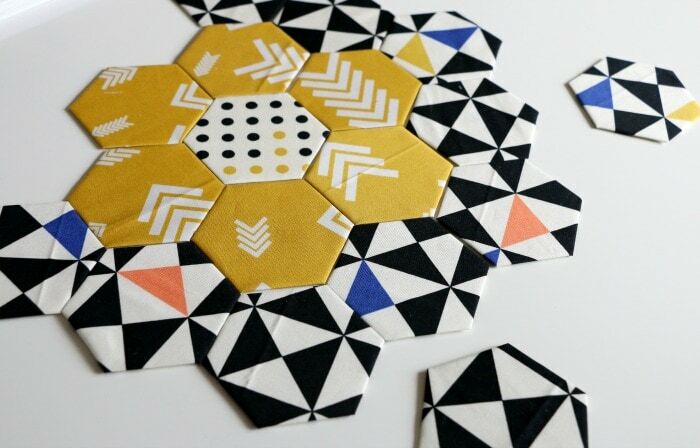 Today, I’ve got a super fun project to share – English Paper Pieced Hexis! 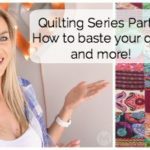 I have never shared a tutorial for how to do these, so I think you will really enjoy this video. 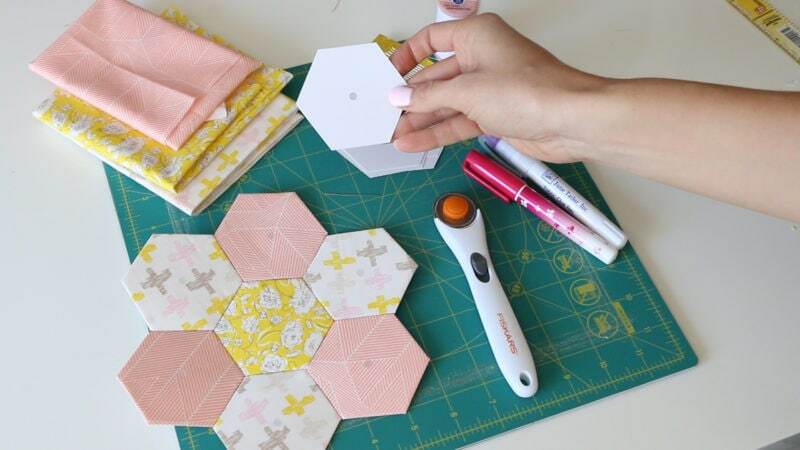 In today’s video, I share the history behind these hexagon flowers, do you know what this pattern is called? 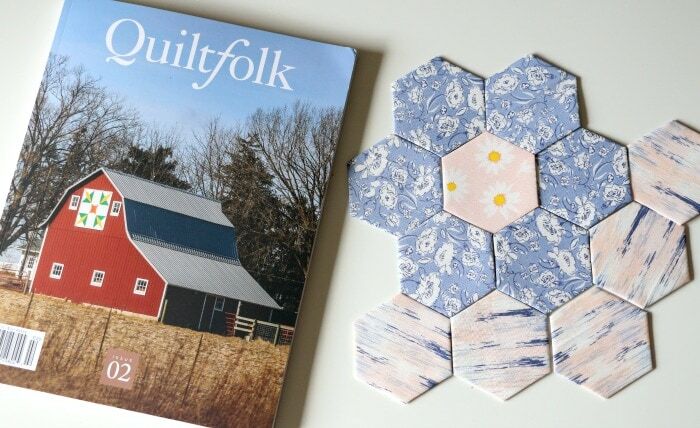 I also share this new magazine I discovered called Quiltfolk – a beautiful quarterly and advertising free magazine. 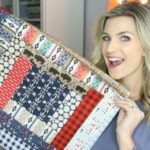 This magazine is filled with stories of quilters and quilt shops across the United States featuring beautiful photography and a happy and uplifting message. Check out their website HERE and subscribe, you won’t be disappointed. 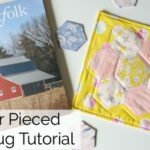 Here are some of the supplies I like to use for English Paper Piecing! 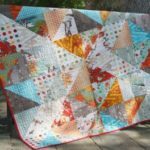 Here is an example of a very modern color palette 😉 I wanted to make sure to show lots of different styles to this seemingly traditional method of quilting. Watch the full video tutorial here! 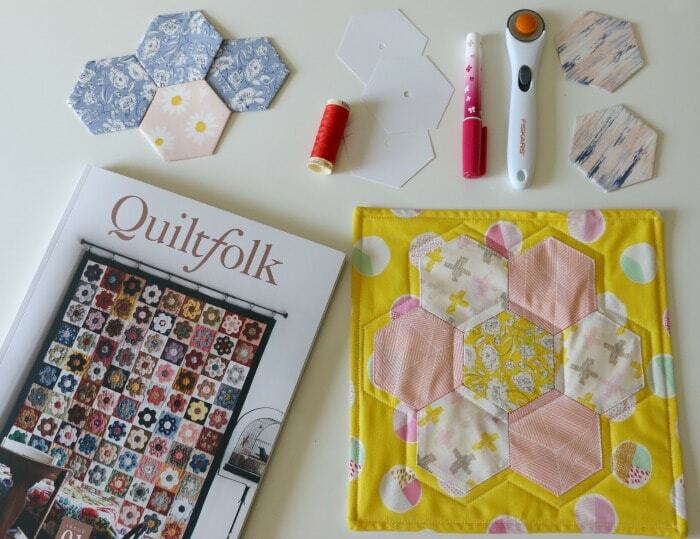 And be sure to get your copy of Quiltfolk magazine today!